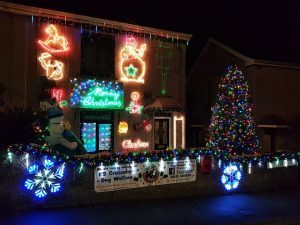 We were delighted to welcome Danny, and his mum, when they arrived laden with donations from the Bodmin community-bedding, food, accessories, and £46.35 raised from the light display. Thank you to all of you who donated, and of course to the amazing Danny for organizing the light display and collection point. Thank you all-your gifts are life changing for the dogs who benefit from them.